Tituss Burgess was born today, February 21, in 1979. He is an out actor and singer. He has appeared in numerous Broadway musicals and is known for his high tenor voice. 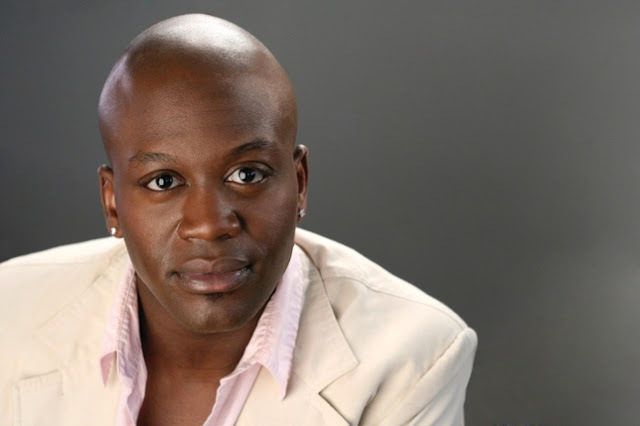 He is best known for starring as Titus Andromedon on the Netflix comedy series Unbreakable Kimmy Schmidt (2015–present), for which he has received three consecutive nominations for the Primetime Emmy Award for Outstanding Supporting Actor in a Comedy Series. Born and raised in Athens, Georgia, and graduated from the University of Georgia with a BA in music. Burgess made his Broadway debut in the musical Good Vibrations as Eddie in 2005, and then appeared in Jersey Boys in 2005 as Hal Miller. He originated the role of "Sebastian the Crab" in the musical The Little Mermaid in 2007 and went on to the role of Nicely-Nicely Johnson in the revival of Guys and Dolls in 2009. He has also performed in several regional theater productions, including The Wiz and Jesus Christ Superstar. Burgess was the first male actor ever to be cast in the role of The Witch in Into the Woods in a 2015 production. On March 6, 2015, Netflix released the first season of Unbreakable Kimmy Schmidt, which stars Burgess in a main role as Titus Andromedon, Kimmy's roommate. Burgess received universal acclaim for his performance, with The New York Times stating that the role was tailor made for him.